According to insiders, Lionel Richie is hopeful that the explosive fight between his daughter Sofia and Scott Disick would be the end of their unlikely romance. Here’s what the worried dad’s opinion on the relationship and more is! ‘Lionel’s hoping that any fight that may have occurred between Sofia and Scott will end the relationship for good. Lionel’s been uncomfortable with the age difference between Sofia and Scott and has been struggling while watching his daughter fall in love with an infamous player like Scott,’ one source revealed. 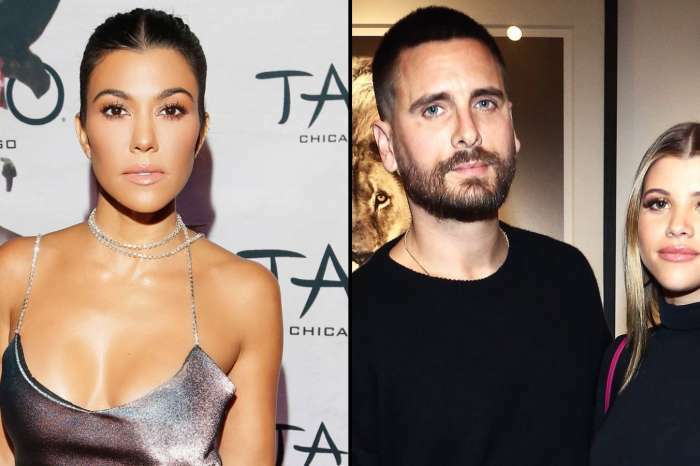 Apparently, the man is really worried Kourtney Kardashian’s baby daddy will end up breaking his young daughter’s heart. Especially now that the disagreement between the lovers happened, Lionel is more confident than ever that Sofia will end up hurt, so he hopes she’ll dump Scott as soon as possible. Fans are still shocked by the fact that Scott and Sofia’s relationship has lasted this long! But despite their 15 years age differences, the two are apparently brought together by their party-hard lifestyles. In addition, they seemed to really cement their romance when they showed up together at their first red carpet event – Miami’s Art Basel. But while at a hotel in Miami, eyewitnesses spotted them having a huge and scary fight. Much to Lionel’s disappointment, it was clear that they had made up when they were seen together at LIV at the Fontainebleau. What’s more, despite the fact that the Art Basel event took place three days ago, the two are still in Miami enjoying the sun and each other’s company. Do you agree with Lionel? Should Sofia cut ties with player Scott before he breaks her heart?